The primary goal of most businesses is to reduce costs and maintain productivity by keeping the heart of their operation, their computer systems, running smoothly, efficiently, and at peak levels. Because of this, it is essential to gauge Hard Drive’s Performance and take the necessary steps to maintain it. Since the function of a computer’s hard drive is to permanently store data, it should be carefully monitored and maintained for best results. If hard disk speeds begin to slow down, causing operations and applications on your computer to perform sluggishly, there is a good possibility it needs to be repaired, restored, or even replaced. Always test your hard drive performance at regular intervals to ensure the proper functioning of your computer. When benchmark results return, the important numbers for most people are the ones under the “Seq” heading and the “4k” heading. “Seq” refers to sequential speed, or the speed at which your hard drive can transfer large documents and load large programs. “4k” refers to the random speed, the speed at which the hard drive can open and load random files scattered in different locations throughout the hard drive. Drives used for mass storage should have high sequential read and write speeds. Conversely, drives in which versatile operating systems will be used to perform multiple tasks at the same time should have higher 4k read and write speeds. A typical computer, used for a variety of tasks and with constantly running background programs like antivirus, will require a higher 4k read speed than anything else. ATTO is one of the leading manufacturers of storage and network connectivity products in the computer industry. Well-known for its high performance tests, software, and products, ATTO has created the Disk Benchmark as a portable tool for measuring storage system performance. It is used mainly for testing the speed of hard disk drives and solid state drives. Many hardware review websites use ATTO Disk Benchmark, and it is recommended by manufacturers such as Corsair. The measurement tool allows computer users to test the performance of their storage system in a variety of situations. Various transfer sizes and test lengths can be used to determine read/write speeds. Customization options include adding queue depth and overlapping I/O to further gauge performance of the storage system. A comparison mode allows users to compare SSD or HDD performance under specific circumstances. This may be one of the most well-known benchmarking and diagnostic tests for hard disk drives. This tool includes a benchmark test to measure the performance, which is displayed in a graph, as well as other features such as Info and Health. The benchmark measures transfer rate, burst rate, access time, and CPU usage. The minimum, maximum, and average rates of transfer are listed on the right hand side of the program screen. A graph taking up most of the screen shows the spectrum of read performance across the disk as a blue line, and the access time as a series of yellow dots. The burst rate and CPU usage are listed below the transfer rates and the average access time to the right of the graph. Atto Benchmarking tool 1) Measure performance in HDD, SSD, RAID arrays and storage connections. 3) Customize performance measurement including queue depth, overlapped I/O. every drive using the ATTO Disk Benchmark. 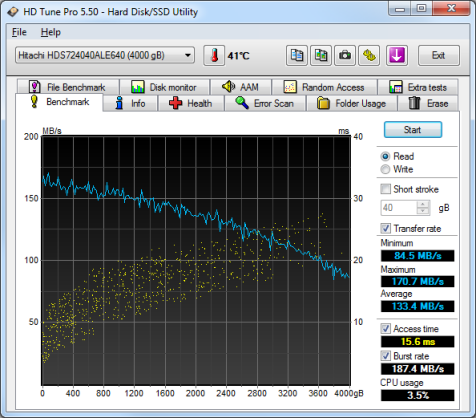 HD Tune 1) The most well known HDD benchmarking and diagnostic utility. 2) HD Tune Pro is a HDD/ SSD utility with many functions. (S.M.A.R.T. ), securely erase all data and much more. DiskMark 1) Windows disk utility to measure disk performance. read and write rounds and runs. 2) Very quick, 1 GB test takes less than 5 mins. 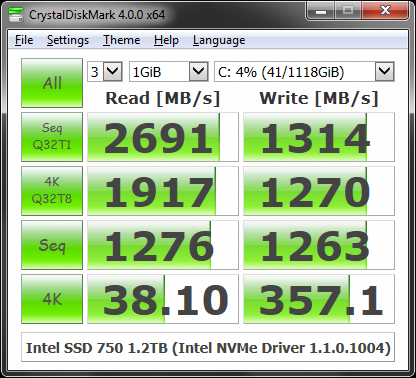 AS SSD Benchmark 1) Measures performance of Solid State Drives (SSD). 2) Consists of six synthetic and three copy tests. HD Speed 1) Measures sustained and burst data transfer rates of HDD, CD/DVD, flash cards/sticks, floppys, etc. your disks can transfer data. and the seek time of the drive. SiSoftware Sandra 1) Enhanced for Windows 8.1 / Server 2012/R2 Desktop mode. The information tab shows a detailed breakdown of each partition on the hard disk and how each performed in the benchmark. The health function measures the health of the hard disk by using Self-Monitoring Analysis and Reporting Technology and keeps track of the worst, average, and threshold values for partitions of the hard disk. The error scan tests the surface of the disk for defects, highlighting them in red. HD Tune can also monitor the temperature of the hard drive, and can be customized to warn the computer user when the hard drive reaches a predetermined critical temperature. For a simple and small test that will get the job done efficiently, Roadkil’s test is a great option. In addition to testing disk speed, it provides details about transfer rates for linear reads and random reads. It also displays the average seek time of the hard drive as well as the average, maximum, and minimum transfer rates. 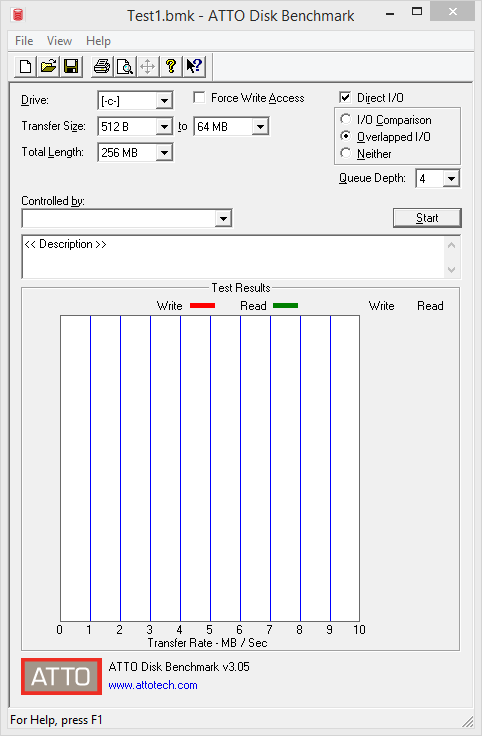 Another useful feature that Roadkil’s test provides is the addition of product information, which is useful in comparing different hard drives. On their website, Roadkil includes a list of hard drive speeds and performance data so you can see how your hard drive matches up with other brands. Like Roadkil’s test, DiskMark is simple, fast, and efficient. It lays out the information about the average, maximum, and minimum transfer rates in raw data form as well as in a graph tracking performance across the disk. The layout of the results is very user friendly and easy to read, features appreciated by many. The one difficulty in using DiskMark lies in configuring the program to perform tests on different sizes and times. The default mode conducts the test of 64 KB blocks in an 8MB test file which is run 320 times. Changing settings can be complicated and time consuming, so running the program in default is typically the easiest and most efficient option for users. To learn more about hard drive testing and keeping your systems at their optimal performance levels, contact AccuwebHosting today for the latest information and solutions for your business.